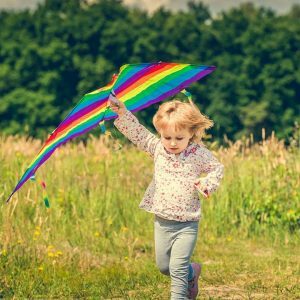 Playing outdoors is one of the best things a child can do to improve their physical and mental well being, yet parents today are faced with almost daily battles to tear their children away from their screens and get them outside to play. Take a moment to think back to your own childhood. Where did you have the most fun? Playing outside with your friends or sat in front of the TV? We have pulled together a guide to the BEST Outdoor Activities for Kids to help you get your kids away from their screens and back outside (for a while at least). I was lucky enough to grow up on a farm in rural Yorkshire, so myself and my sister had free access to large fields to run around, make dens and mix mud pies whilst my parents worked the farm. My own kids are growing up in a very different environment. We live on a housing estate on the east coast of Ireland. My eldest sons (aged 6 and 8) and given some freedom to play out with friends on the green, but society dictates today that we have to keep a much closer eye on our children when they are outdoors alone. So we as parents have to put in extra effort to get our children outdoors safely so they can enjoy the benefits like we did as children. This could be something as simple as going on a family hike together, taking a picnic down to the beach, spending time together at the playground or setting up an activity in your backyard or garden. 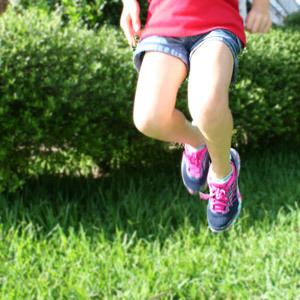 Physical benefits – getting out into the fresh air to allow your kids to run, jump, hop and skip which is great for their overall health and essential for their developing muscle strength and co-ordination and motor skills. Getting outdoors with your kids is an excellent way for them to connect with their local environment and gain a respect for their surroundings. 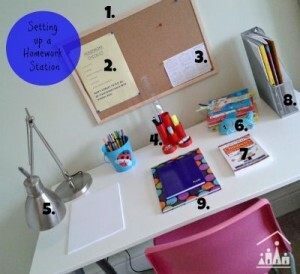 Giving your kids a good dose of fresh air is a great way to increase their levels of concentration and focus on a task. 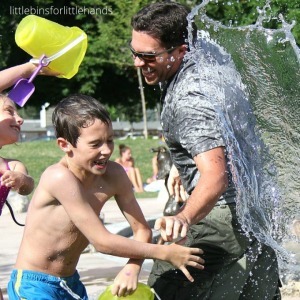 Have fun together as a family without the distractions of modern technology. 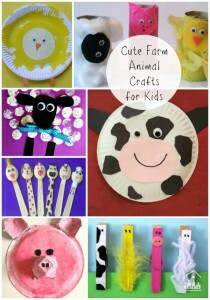 Tire the kids out for a stress free bedtime! 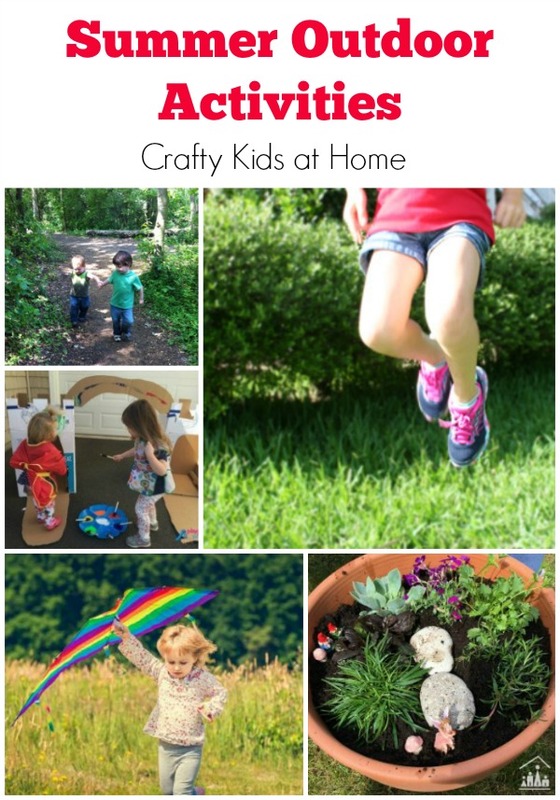 We have joined forces with a team of fantastic Kids Activity Bloggers to bring you an amazing selection of outdoor activity ideas for kids to enjoy on their own and with you. 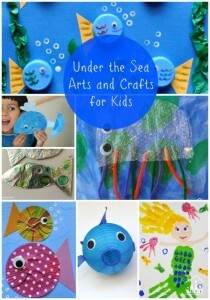 In need of a calming sensory activity? Planning a family day trip? We will have it all covered over the next few weeks providing you with lots of inspirations for the school summer break. We love to take our art outdoors when the sun is shining. 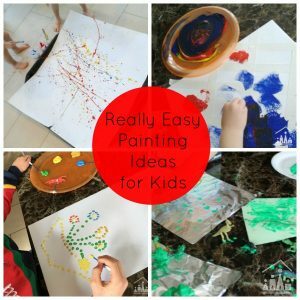 It can be something as simple as chalking on the pavement, getting messy with some window painting (this is a great way to get the kids to help wash the windows afterwards) or taking a canvas and paint outdoors to paint on. Blowing bubbles has always been a firm favourite around here. Even from being a baby, my youngest daughter could often be calmed from a late afternoon grump when her big brothers blew bubbles over her. 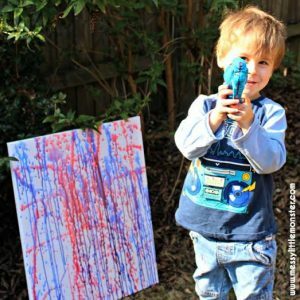 Bubble Painting is one of our favourite painting activities as well which can be enjoyed inside or outside. 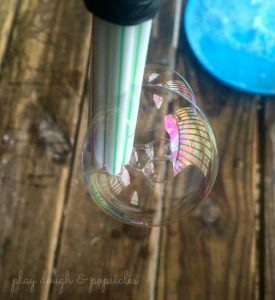 Here Playdough and Popsicles how you2 Ways to have Inexpensive Fun with Bubbles . 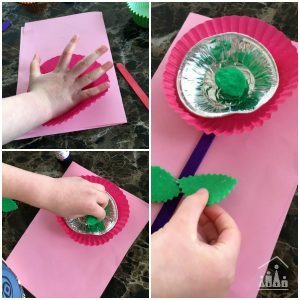 We are big fans of Junk Modelling over here at Crafty Kids. Give my kids a selection of cardboard tubes and boxes and they can spend hours making inventions. 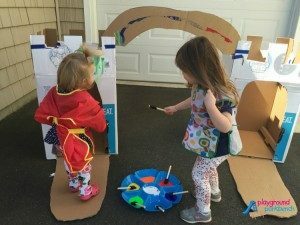 Taking a cardboard junk modelling outside allows you to do something really big like this awesome Cardboard Castle from Playground Parkbench. Do you have a sand pit out in your back yard? 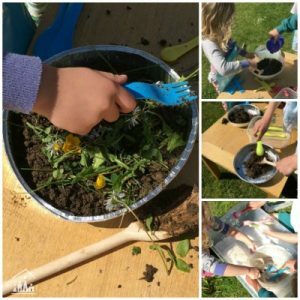 Sand Pits are ideal to be turned into giant sensory tubs and can be re-filled with anything from shaving foam to play dough to take your kids sensory play outdoors. 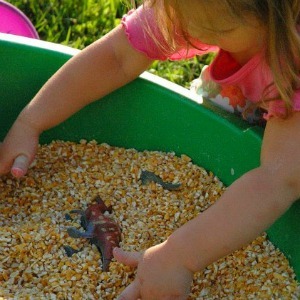 Here is a neat idea from The Kennedy Adventures to fill a sand pit with Corn to make your own Outdoor Dinosaur Dig. 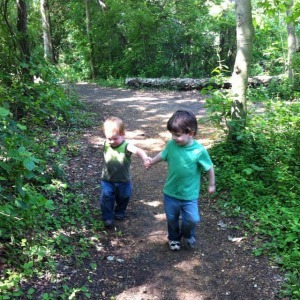 Heading out on a Nature Trail is a fun and frugal way to explore the outdoors with your children. 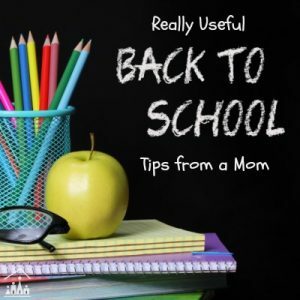 I love these tips from Look! 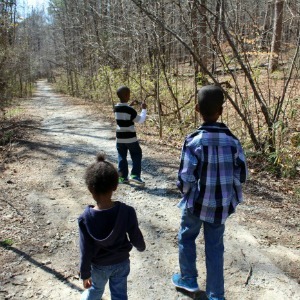 We’re Learning on Exploring a Nature Trail with kids. 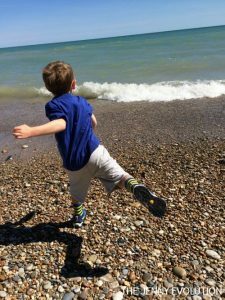 Little Bins for Little Hands joins us with a fantastic list of Free or Nearly Free Outdoor Activities for Kids including Hiking, Geo coaching, Backyard Science and picnics. 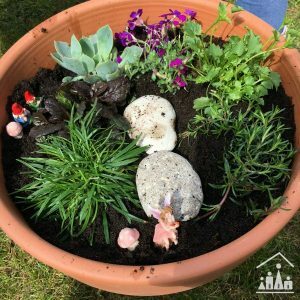 Tempt your kids outdoors to help you in the garden with the promise of their very own Miniature Fairy Garden. Amy Pessolano from Umbrella Tree Caft has been a keen hiker all her life and wants to pass on her love of hiking to her children. 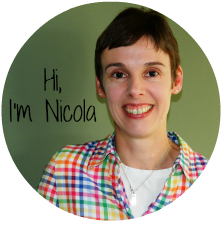 Pop over and ready about the many benefits of hiking with your kids even from a young age. 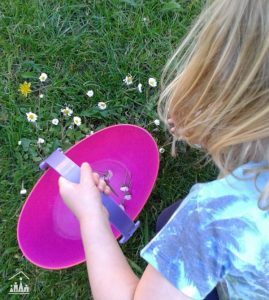 Go on a bug hunt outdoors and take along this cool Insect Investigation Worksheet from Kitchen Counter Chronicles to record your findings. 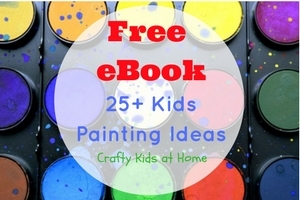 Get back to basics with your high energy kids and get Jumping to these great games from Books and Giggles. You’ll probably remember a few of them from your own childhood. Let’s go Fly a Kite! Rainy Day Mum has convinced us that we need to go and fly a kite this summer. 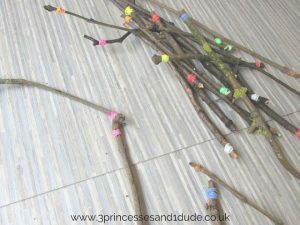 Use up your left over loom bands and turn them into this fun Loom Band Dominoes Game from 3 Princesses and 1 Dude. 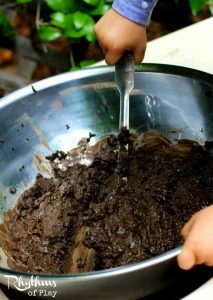 Every child should make at least 1 mud pie in their lives and Rhythms in Play show you how to turn them into an art project. Take your kids on an Outdoor Adventure into a National Park, where they are free to explore many natural wonders. 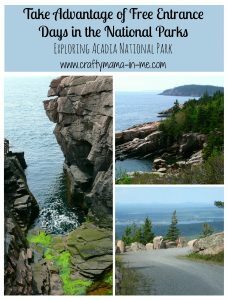 Get inspired by Crafty Mama in ME’s recent trip to Acadia National Park. Are you still singing “Let it Go” at your house? 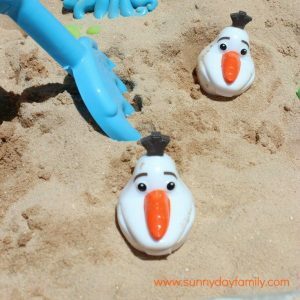 We certainly are and here is a great Frozen Themed Activity from Sunny Day Family to get busy with in your sand box. 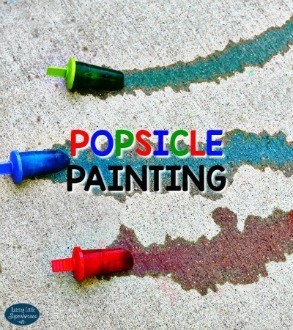 Great creative outdoors this summer with this cool Popsicle Painting activity from Raising Little Superheroes. 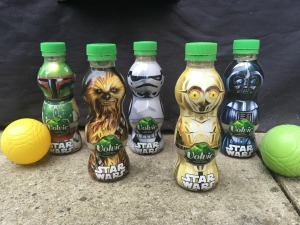 Take a game of Quilles (the old French word for skittles) to a whole new level of fun when you add a Star Wars theme to your game. The Gingerbread House show you how to make them yourself. The Jenny Evolution love to head down to a Rock Beach for a Natural Sensory Experience for you kids. 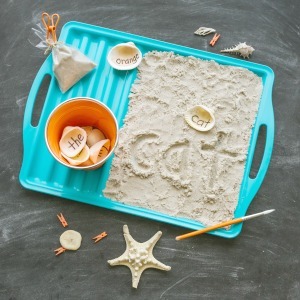 Keep kids outdoors and learning all summer long with this fun Kids Writing Game with Seashells and Sand from The Educators’ Spin on it. 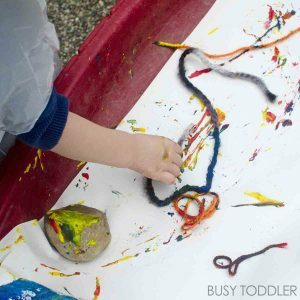 We have one of these tray and they are invaluable for outdoor messy play. 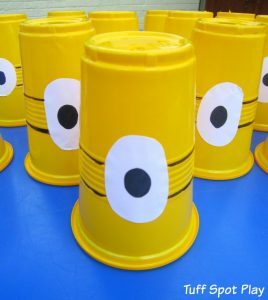 We can’t wait to have a go at this Messy Minion Tuff Spot activity from Tuff Spot Play. 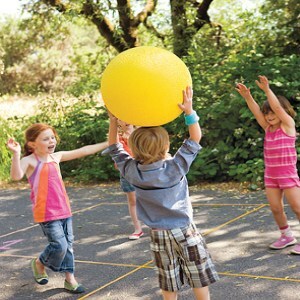 Four Square Volley Ball is a an easy outdoor game for kids to play together. Kelly’s Classroom will fill you in on how to play. Playing with water out in your backyard is a great way to cool down on a hot day and is a great way to soothe mid-afternoon frustrations. Why not have a go at our Daisy Soup recipe? 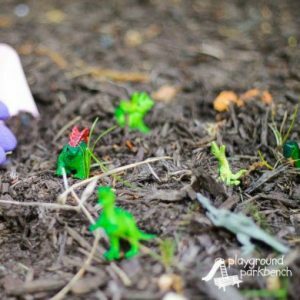 Have fun out in your garden like Playground Parkbench show you here and go “eXcavating” for Dinosaurs. Take your paints (and the mess) outdoors for a fun filled Yarn Painting Session. Thanks to Busy Toddler for this activity. 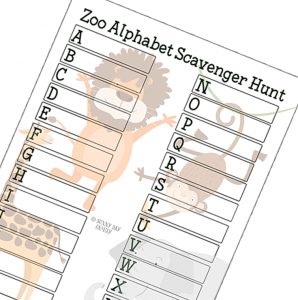 Take along this handy Zoo Scavenger Hunt from Sunny Day Family the next time you go on a visit to the zoo.